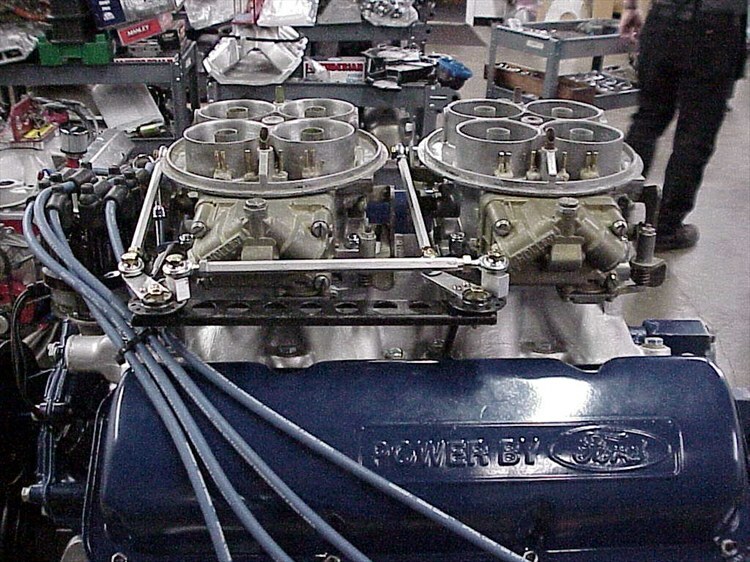 Anyone got pictures of an original linkage on a SK intake and dominator set up. Going on this set-up eventually. I have several pictures of different linkage. I'll find a couple of good ones and post. 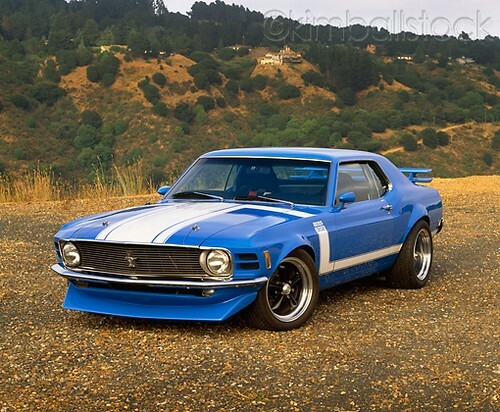 I believe that's what Rich R used on one of the cars he restored. Sorry for the delay but I have thousands of images and it took a little time to find these. 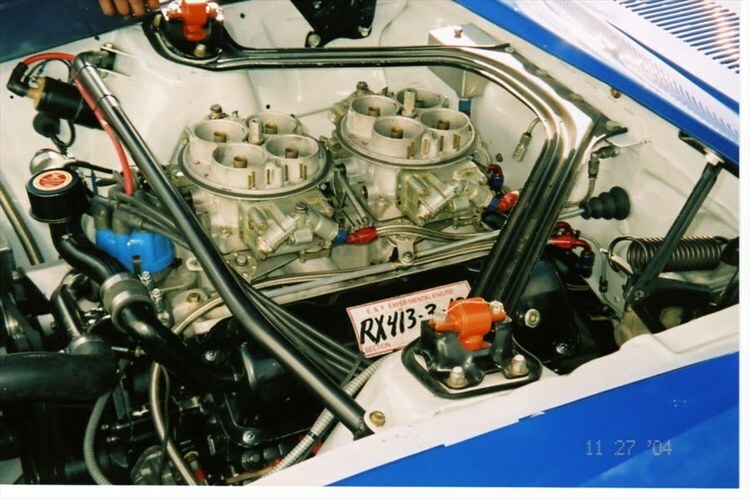 The shots on the stand are of the "Tope" car's engine at T.O.E. 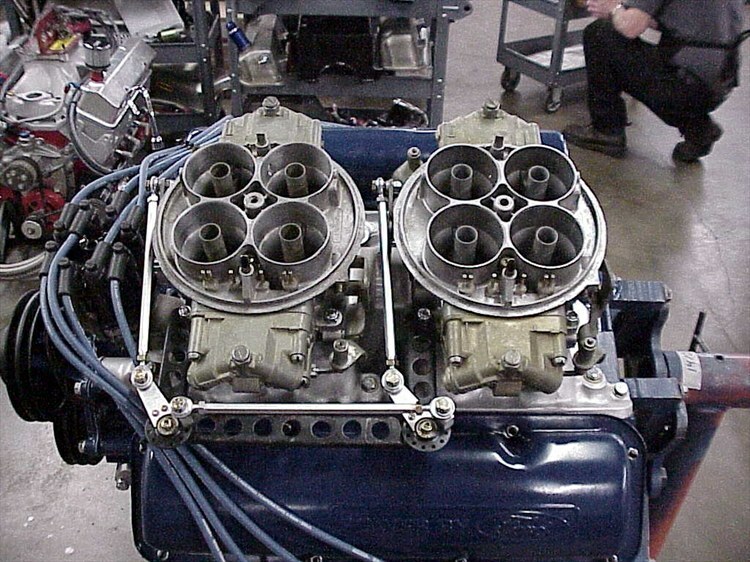 where the engine was built and the linkage was "tuned up" by Tony Oddo Jr using many original pieces made by Don Araki (Shelby '69 T/A team member). The "in car" shots are the Kar Kraft prototype (073) car with a more current setup made again by Don Araki. 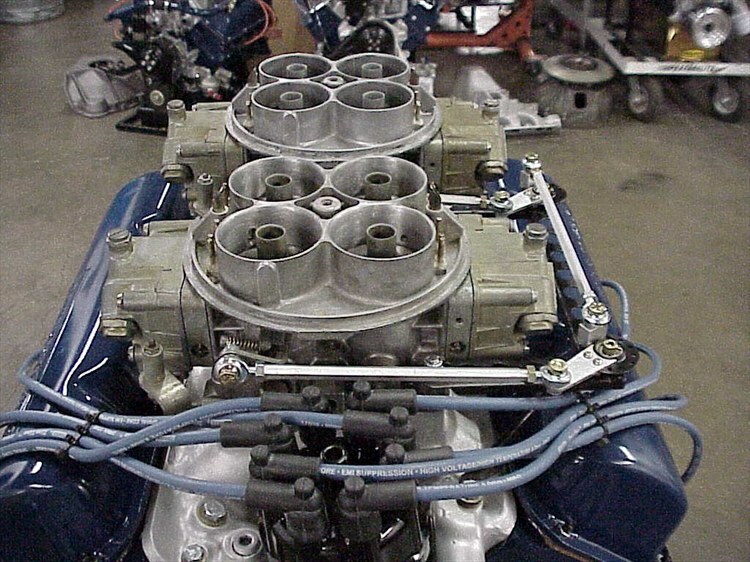 The first "linkage Ford used was a dual cable setup that was not reliable. Thanks for all the pictures guys! 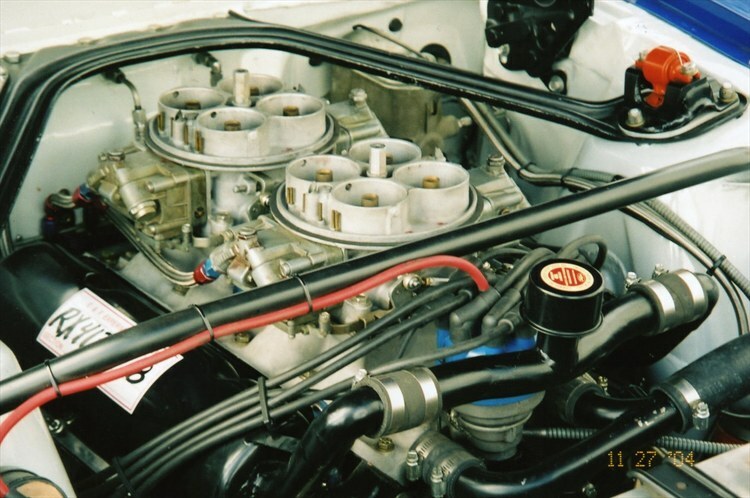 The cable linkage is what Don Araki, told me led to the fatality at Michigan Speedway, He also told me that Bud Moore continued to use the cable set up for a while after that. You know Don Araki very well, He gave me more insight into the Trans Am Racing of the Boss Cars in one afternoon than all the books ever written. I need to get in touch with you soon. There were other versions of the linkage that I had pictures of, but I wouldn't waste time on the others. Don Araki's stuff was the best. 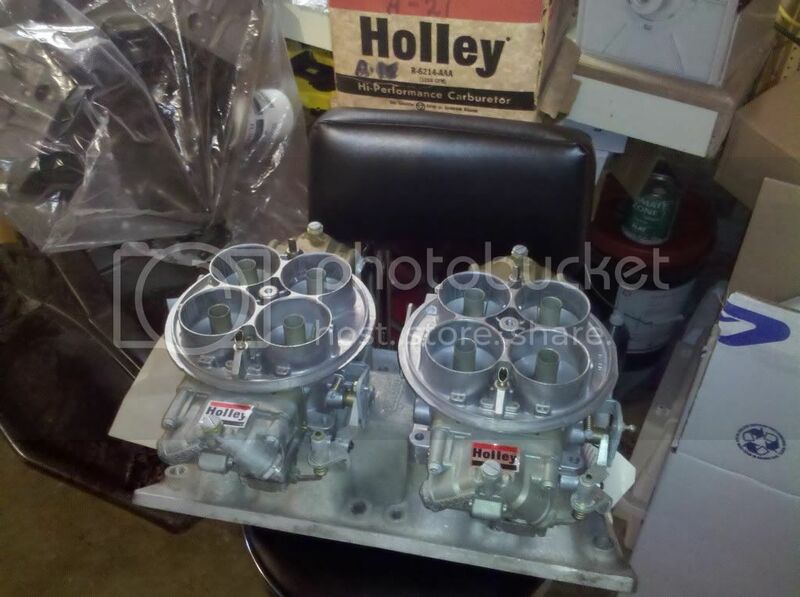 Correct me if I'm wrong the Tope carburetors were reworked 6214s. 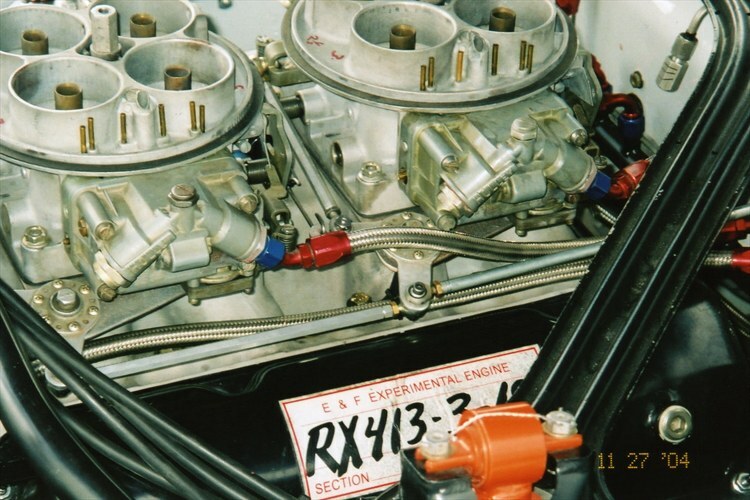 The external bleed tubes have been raised as were the sand cast carburetors. Was this done on the Tope/T.O.E. 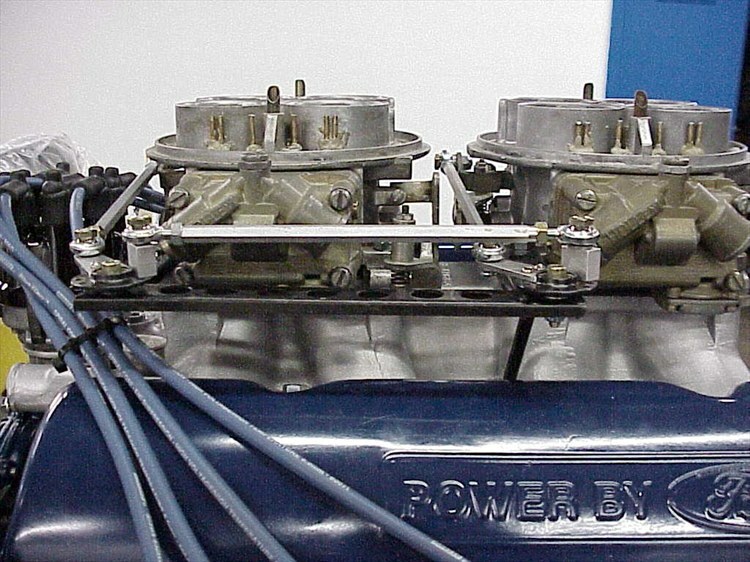 Carburetors for cosmetic "make them appear as sandcast reasons" or is it another key to functionality? Were the original 6214 bleeds not correct for the application? I'm still turning over leaves in old pictures for answers. You can get bell cranks from Kinsler (page 68 of their catalog). They have a few different arm lengths to choose from. 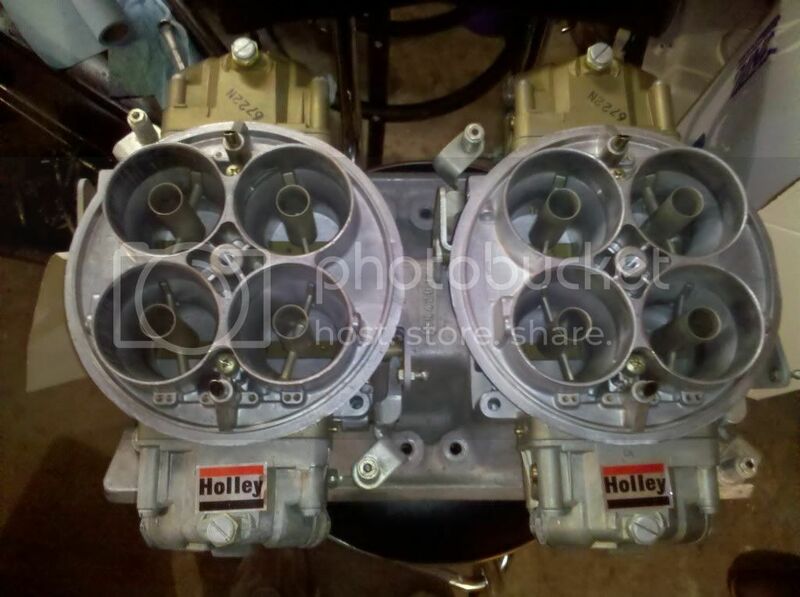 I can't use a bell crank system on my dual throttle body, efi setup. The fuel rails are in the way. Randy or John, do you have pictures, or information, of the original cable system brackets? I have only been able to find one picture and it doesn't show much detail. The cable throttle was so short lived that little remains except for some early press shots. It used simple cable brackets (similar to stock) and the other end attached to the firewall. A special "T" shape tab was attached to the top of a stock gas pedal for the cable ends to attach to . It was not a well thought out system and was replaced with mechanical linkage similar to the above pictures. (The major difference was tubular steel linkage pieces instead of aluminum hex. Thank you for the reply. That was helpful. I just sent you a PM. Page created in 2.121 seconds with 22 queries.